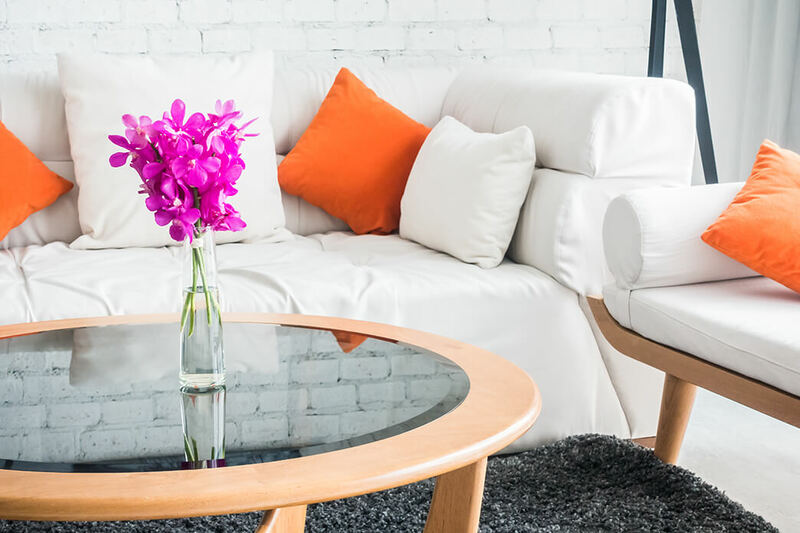 Customize your space with a few well-placed additions in the form of lighting, furniture, wall decor, window treatments, throw pillows, rugs, supplies, and more. Retailers like Overstock, Lowe’s, World Market, Kirklands, and Pier 1 all have plenty of eclectic styles that are sure to fit your personality. Are you looking for a Modern Furniture and Modern Design, then look no further than Design Within Reach, apt2b, west elm and Horchow. For Home Design ideas, go to Houzz Furniture and save with promo codes. Discounted furniture can be found at Overstock Furniture. Seeking affordable home improvement products, then visit Build.com. Scroll down to find coupon codes on furniture and home decor that will fit perfectly inside your space. Works sitewide. Get 20% off all orders when you apply this coupon code at VersaDesk. Works sitewide. Apply this code to receive $10 off your entire order when you spend $50 at Kirklands. The place to find unique home decor at bargain prices. Works sitewide. Private Sale! Take $25 off (over and over and over) every $100 you spend on a great selection of regular-price items at Bloomingdales.com. Works sitewide. Apply this code to get $5 off purchases. Works sitewide. Get $15 off all orders of $349+ when you apply this promo code. Choose exclusive tree features to make your holiday extra jolly. Works sitewide. Reveal this promo code to get 15% off your entire purchase. Take advantage of this exclusive offer and start designing your ultimate space! Click this coupon offer to get up to 35% off Yard & Garden. Includes free shipping. Use this coupon to get up to $300 off on mattresses + FREE shipping. Works sitewide. Get 20% off all orders for new customers. Paste this promo code to get an extra 10% off American Heritage Brand Wide at Homesquare. Save an extra on your home decor and furniture purchases! Works sitewide. Enter this coupon code to get 10% off Your First Order. Discover extra discounts on Furniture, Home Accessories Orders at ModShop. Works sitewide. Reveal this promo code to get 25% off your entire purchase at SUREFIT. Works sitewide. Use this promo code to get 12% off on All Purchases at Sofamania. Works sitewide. Activate this promo code to get 10% off your entire order at Belle and June. Get Free Shipping on orders of $75 or more when you paste this promo code from LTD Commodities. Use this coupon & Get up to 10% off Sale Items. Shop a variety of unique items for your home at Artori Design. Works sitewide. Redeem this coupon to get 10% off orders. Receve Up to 70% off Clearance Items. Works sitewide. Reveal this coupon code to get $35 off all orders of $499 or more. Complement your holiday theme with festive faux wreaths and garlands. Get 10% off orders over $2500 at Best Priced Furniture when you use this coupon. Get up to 40% off Outlet Items. Works sitewide. Activate this promo to Give your friend 15% off their first order and you'll get $20 when they make a purchase. Friend must be a new customer and spend least $200 on their first order. Includes free shipping. Apply this coupon to get 15% off on select outdoor items, plus enjoy free shipping on all orders of $1,500 or more. Get up to 65% off Clearance Items when you activate this offer. Works sitewide. Get 5% off on orders of $7500 or more when you use this code at Log Furniture Place. Fill any space with natural beauty using rustic decor. Get FREE delivery on all orders with this coupon. Works sitewide. Activate this coupon to get 20% off all orders with Sign Up. Stack More, Save More: Apply this coupon to get up to 35% off Sactionals with Lovesoft and Down at LoveSac. Works sitewide. Copy this coupon code to get 10% off any order. Activate savings on your home decor orders. Works sitewide. Enter this coupon code to get 20% off all orders at Fitz and Floyd. Click this link to get free shipping on any order at St. Frank. Copy this coupon code to get Free Shipping on any order. Works sitewide. Reveal coupon code to get 15% off any order. Works sitewide. Click this link to receive 10% off on your first order when you sign-up. Take 20% off ALL Rugs when you use this promo code at Lulu & Georgia. Receive up to 50% off Select Special Items when you apply this promo at April & Oak. Works sitewide. Copy this promo code to get 10% off your purchases from GDF Studio. Works sitewide. Get 15% off your order when you use this coupon code. Apply this coupon to get up to 65% off on clearance items at Boyles. Works sitewide. Get $5 off all orders . Works sitewide. Reveal this promo code to get an extra 6% off your entire purchase at Online Amish Furniture. Browse many styles of furniture from extensive range of categories! Works sitewide. Apply this coupon to get $120 off your entire order over $1500. Works sitewide and includes free shipping. Get 20% off + Free Shipping on all orders when you enter this coupon code at JAXX. Apply this coupon to get up to 45% off Half of Half Blowout Sale Items. Get Best deals for Home and Furniture at CASA GEAR. Get up to 68% off Electronic Items when you apply this promo. Check out Free Samples when you use this promo at Bemz. Works sitewide. Click this coupon to get 10% off orders when you sign up for newsletters at Abington Lane. Furnishing your first apartment can be tough. You are most likely dealing with a limited budget, hand-me-downs galore, and a somewhat elastic definition of your style. But the good news? It’s easy to feel bogged down and stagnant when you’re trapped inside a boring, gray apartment. But there’s still hope! To introverts, home can often be seen as a sanctuary away from the hustle and bustle of everyday life.